The Buckeye Current team is working hard on the Isle of Man before the 2014 TT ZERO. I stumbled across a discussion thread on a forum where the team is posting field updates. They're using the same 2006 CBR1000RR frame as before but have completely redone the battery pack, adding three more cells while dropping 30 lbs of weight. They've also worked on the software, hopefully eliminating problems that plagued them last year (hey! they made the podium with those problems), and they're hoping to break the ton (lap speed over 100 miles/hr). We made good progress in fixing the buss board that was damaged last night.the electrical team had to by pass two burned traces with wires and coated the rest with RTV to prevent any more incidents. Aiyeee, that's the kind of repair you make when time is too short to allow FedEx'ing in a replacement. That is, if a replacement were possible. The "buss board" probably refers to a custom board they built themselves. This is the downside of building a custom bike - some parts exist only on that bike, with no spares in existence anywhere. If that part breaks, and you need to race the next morning, there's no parts depot for a replacement, leaving no choice but field repairs like this. Otherwise, they're looking for a way to do testing. 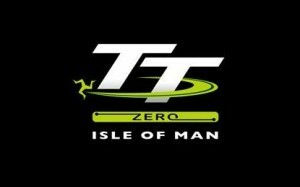 As I noted earlier, the official TT schedule has three TT ZERO practice sessions, the first of which is on Friday. Every team obviously needs as much testing time as possible, preferably full speed testing, so they can know they're ready to race. The last thing you want is for your race to be the testing time. There's a race track at Jurby, but it's busy with other events. They can arrange time at a local "driving school" for testing, and they think they're allowed to go ahead and run on the public roads outside of formal test periods.